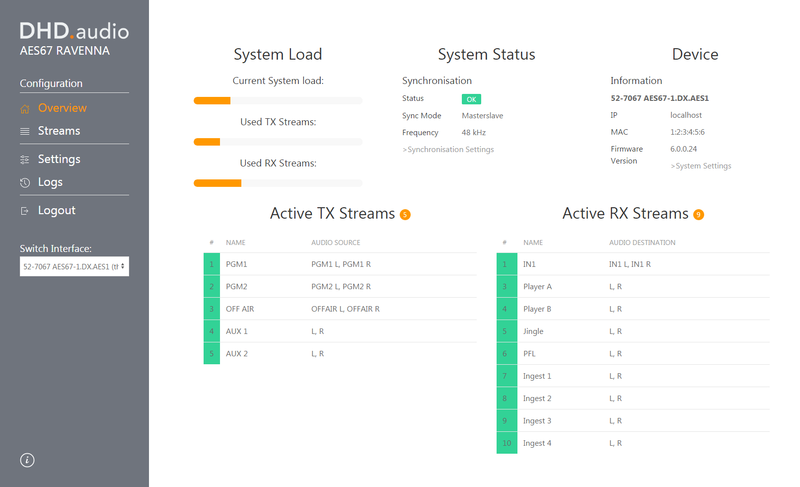 The completely new developed XC2 AES67 RAVENNA Interface (52-7067A) boosts the Audio-over-IP capabilities of all DHD mixing consoles and routers. 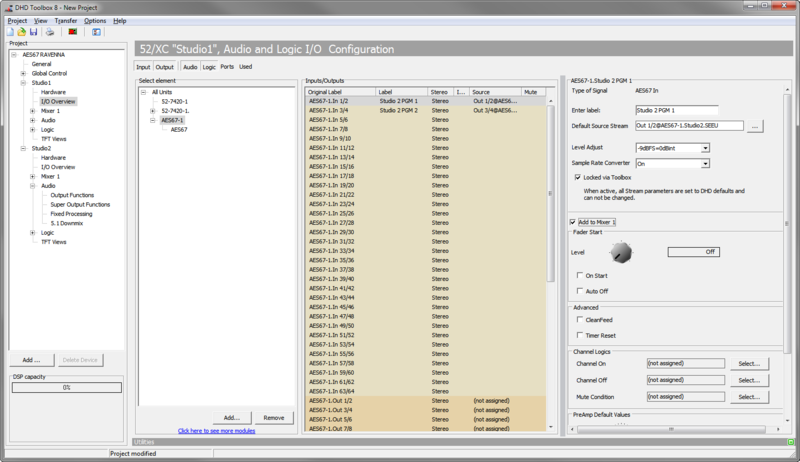 It allows to connect DHD mixers to almost all available Ravenna-enabled or AES67-enabled device or virtual soundcard. 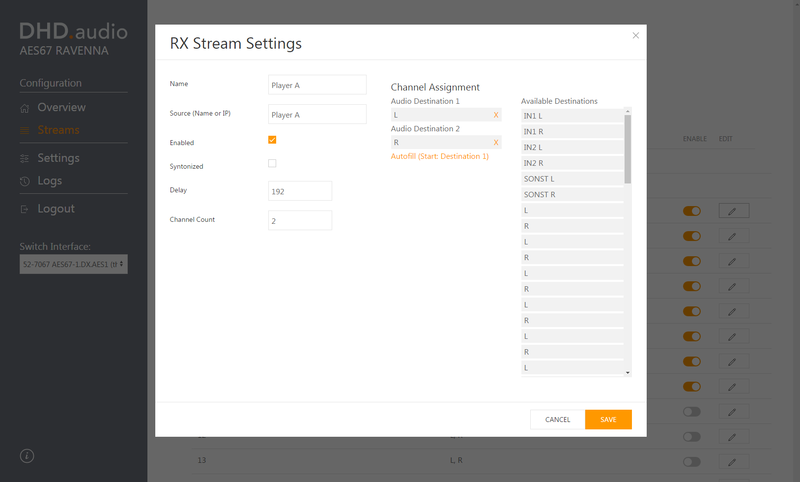 With this interface you can send and receive up to 32 AES67/RAVENNA-compliant Audio-over-IP streams, with a maximum of 64 mono transmit channels and 64 mono receive channels. 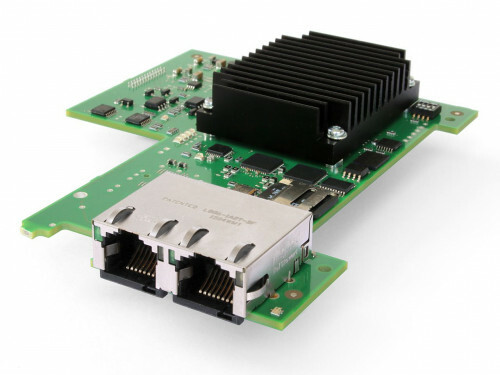 The 52-7067 AES67 Ravenna module can be used on the internal extension slot of all 52/XC2 Cores, 52/XS2 Cores and 52/XC2 Concentrators. 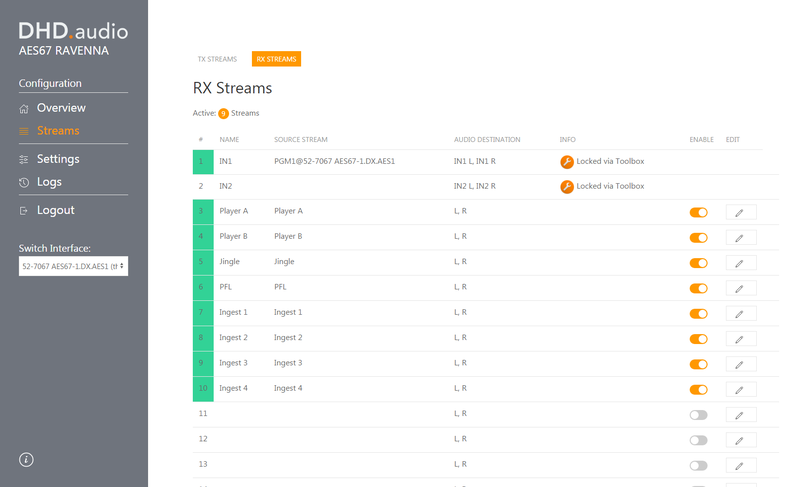 It offers sample rates of 44.1 kHz and 48 kHz. 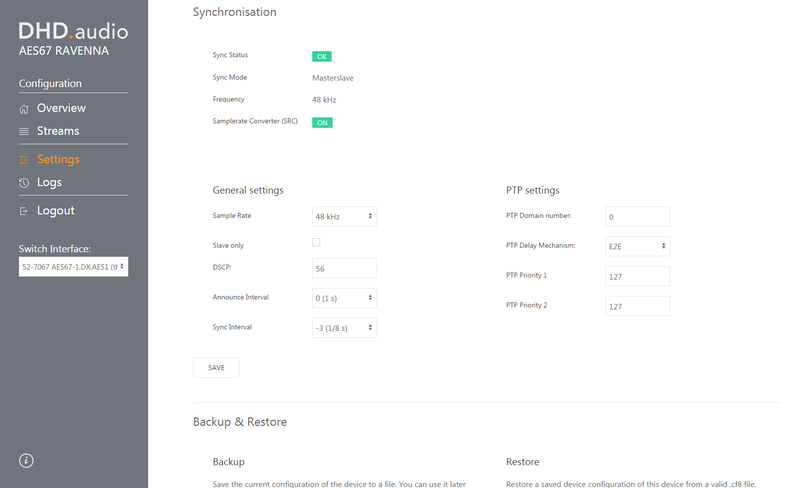 In addition, a sample rate converter (SRC) for inputs and outputs is included which can be enabled to using the DSP core asynchronously to the IP network. 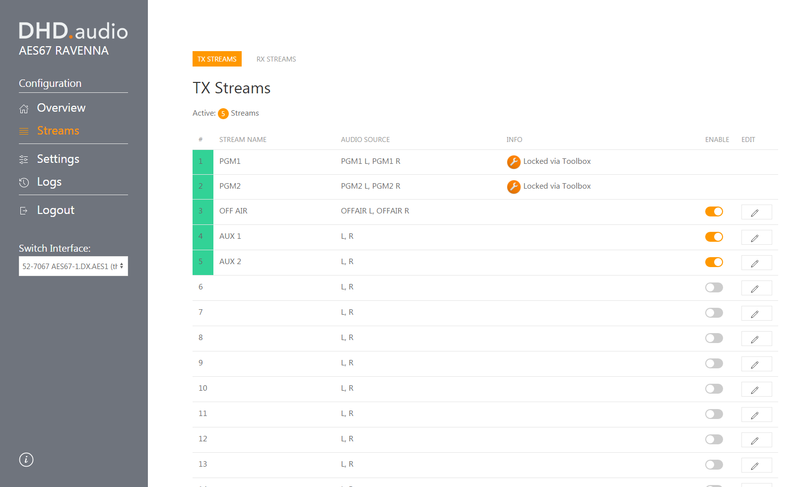 An easy-to-use HTML5-based web interface and powerful discovery mechanisms for the audio streams allow fast integration into your AoIP infrastructure. 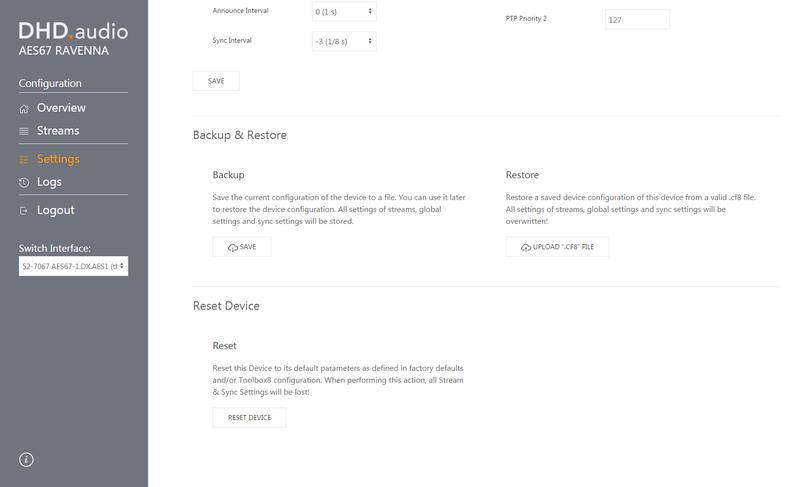 The web interface offers a simple configuration mode for fast and easy setup using DHD default parameter sets and Toolbox8 configuration data. 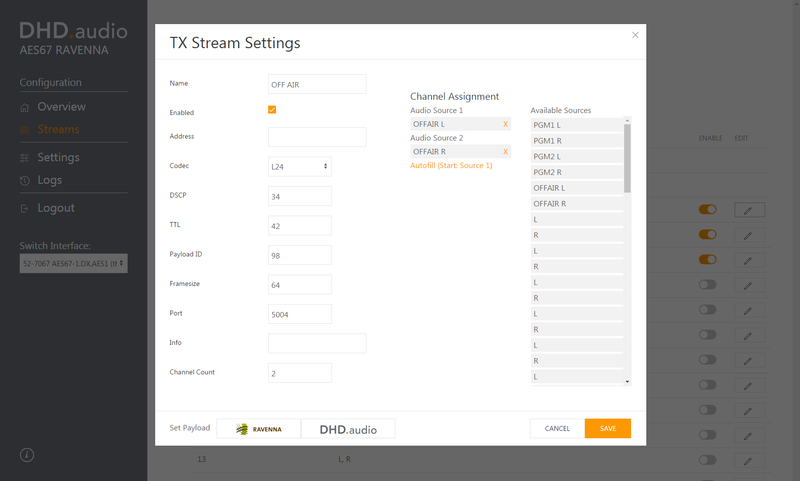 The link between Toolbox8 and the XC2 AES67 RAVENNA Interface allows the quick setup of input and output stereo streams for connecting DHD devices even without using the web interface. 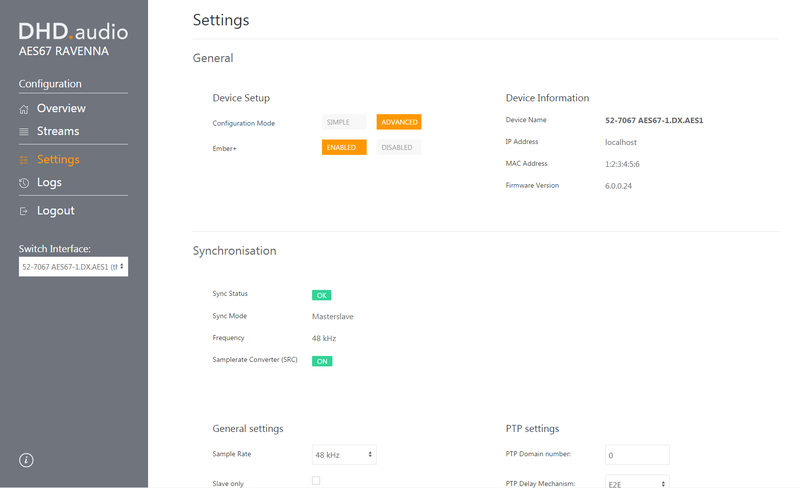 Also an advanced configuration mode is available, where network parameters for input and output streams, as well as synchronisation (PTPv2) parameters can be set to SMPTE-based DHD defaults or user-defined values. 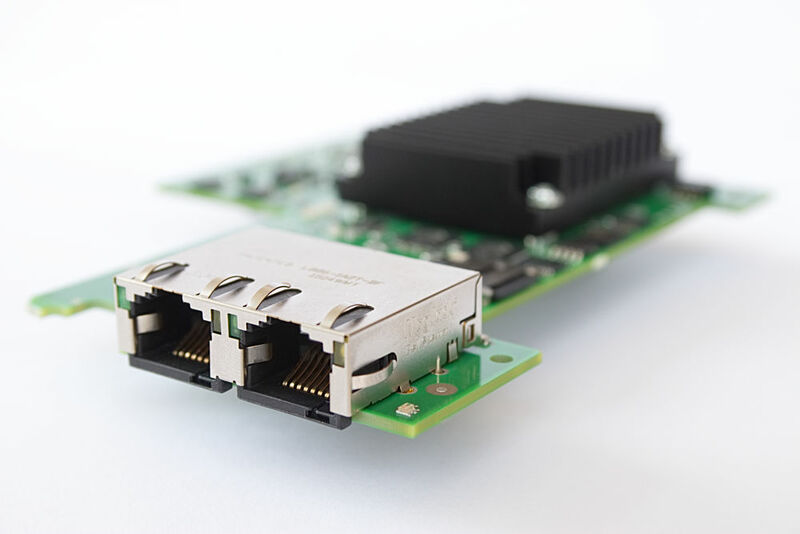 With full Ember+ integration, the configuration of the AES67 RAVENNA module is also possible via Ember+-compliant software.